﻿ How to Use Data to Group Email Contacts and Drive More Action » Red Mango Marketing! 30 Ways to Grow Your List: Back to Business! Standout Subject Lines: Get Open, Get Read, Get Results! Grouping your email contacts based on information you know about your customers is like inviting guests to different parties. You know that some friends like to dress up, so you invite them to the costume party. The friends that like to belt out a tune get invited to the karaoke party. The more specific the invite, the more likely they are to come. The better you use the data available to group, or segment, your contacts the more powerful your email marketing becomes because you’ll be able to send more relevant emails to drive more action. Here are just a few ways you can start segmenting your contacts. Get easy-to-read reports that track your marketing success in real-time and help you segment your contacts. Try Constant Contact today. The more information you collect about your customers beyond their email address, the better you can tailor your messages to feel more relevant to those receiving them. Beyond personalizing your emails using your contact’s first name, you can use information like their birthdays or anniversaries to send special offers. Or use their state of residence to send email campaigns based on where your contacts live. Instead of going through each of your customers one by one, Constant Contact lets you automatically create segments based on information such as new contacts added to your account, contacts who have opened any email, or contacts who have not opened any email from you within a particular time frame. You can send to distinct groups without manually having to create lists. . The products that customers buy and the ones they don’t can also help paint a better picture of what your customers like. Constant Contact’s Shopify integration lets you create segments with all customers, best customers, recent customers, potential customers, first-time customers, repeat customers and even customers that have lapsed. Using these segments can help you craft emails people really want and drive more business. Only Opened – These customers are engaged, but not enough to click through to your website. Your subject line worked to get them to open the email, but they may need different messaging or bigger incentives to get them to visit your site. Opened and Clicked – These are your most engaged customers, the ones most likely to buy, so softer sells can get them to convert if they don’t purchase right away. Try customer loyalty gifts or “special VIP products” to reward them for being great customers. Did Not Open – These customers weren’t engaged by your subject line. Start A/B testing different subject lines to these customers to figure out what will work best for this audience. Other areas of your reports can offer insight to make the next email even better. For example, find out what your most engaging subject line has been and look closely at what made it so successful. Can you replicate that with future subject lines? Of the customers that opened your email and clicked a link, where there more desktop users or more mobile users? The more you can learn, the better you can make decisions for your next email campaign. Your email contacts likely aren’t all alike and want different messages depending on their needs. Segment your contacts and send more targeted emails. It’s an easy way to improve results, drive more business, and then like inviting guests to the right party, you can keep customers happy. 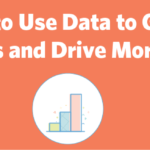 The post How to Use Data to Group Email Contacts and Drive More Action appeared first on Constant Contact Blogs. This entry was posted on Friday, April 6th, 2018 at 8:00 am	and is filed under Email Marketing, News & Updates. You can follow any responses to this entry through the RSS 2.0 feed. Both comments and pings are currently closed.